Observation notes: It was about 2.5 inches wide, wing tip to wing tip. 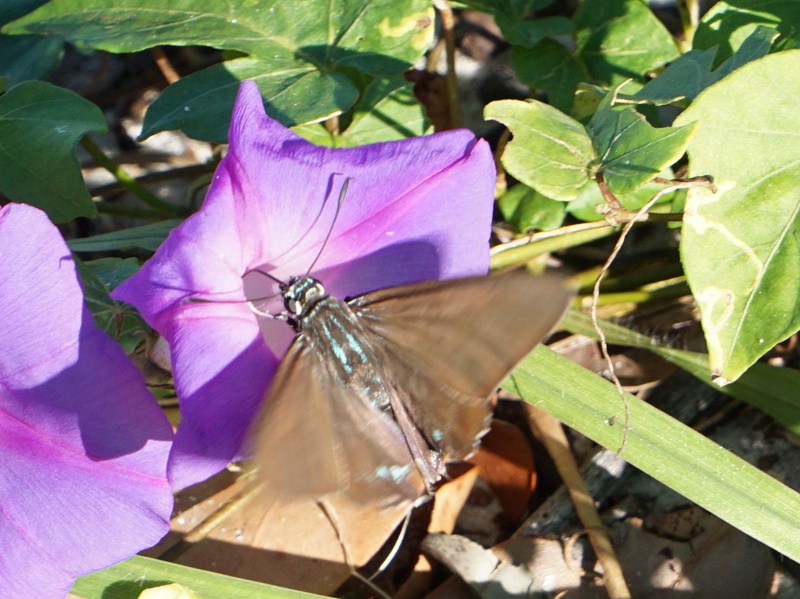 The picture is blurry, but the wings appeared to be solid brown with an iridescent green / blue abdomen. It was very quick, unfortunately this was the only photo I was able to get.